Of course, as an author of scary books for young adults, that’s what he’s supposed to do. 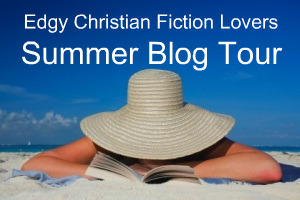 Check out his books at BJKurtz.blogspot.com for the next stop on Edgy Christian Fiction Lover’s Summer Blog Tour! So what? I frighten kids and I don’t even write.